No drive by, no hand held reader. 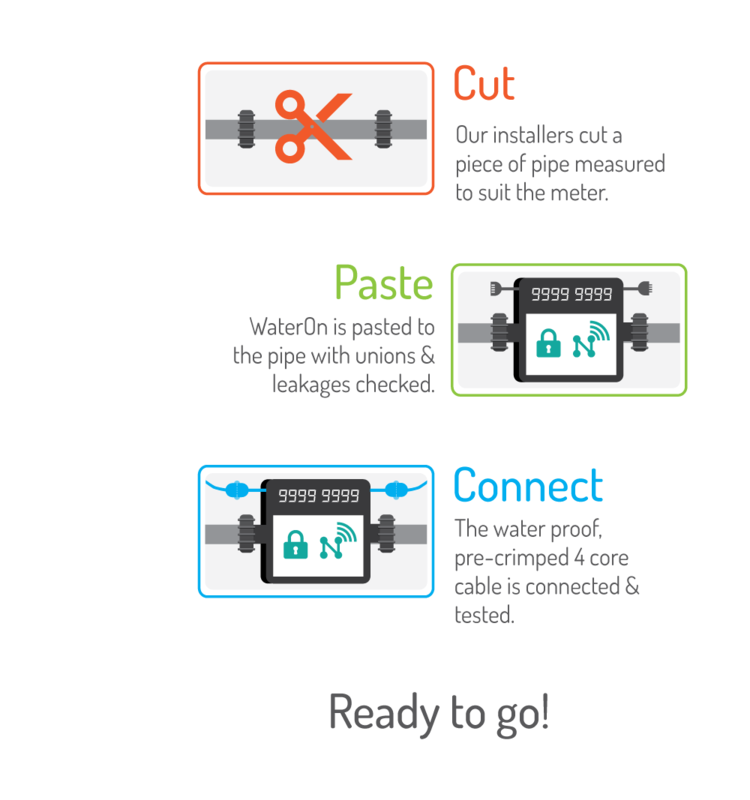 WaterOn water meters don't need to be read. Period. 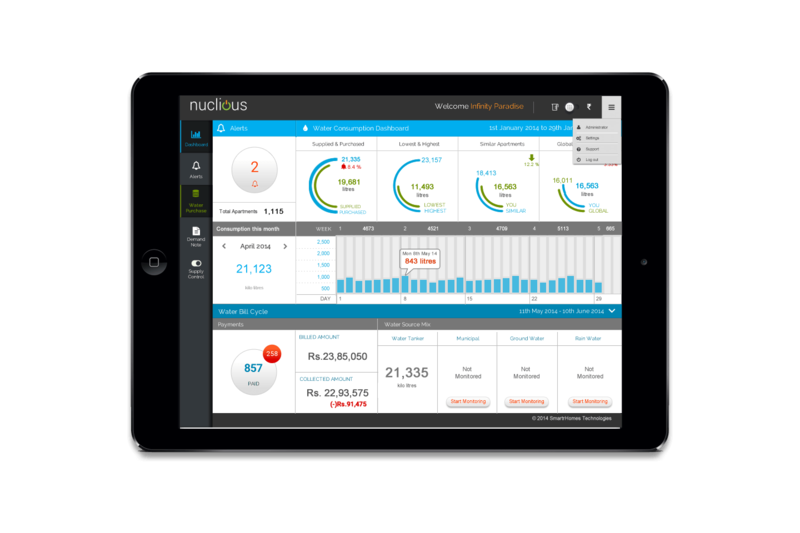 Unlike AMR meters which need to be read manually via a hand held device that later downloads data into a spreadsheet, WaterOn meters send consumption data in real time to the cloud application software for further processing and monthly bills are generated and sent to the users automatically. And, we do not make you pay extra for any of these. Our experience taught us that it is not enough to make a path breaking product, it has to be executed to perfection. Hence, we continued to learn from our installations and have mastered & simplified not only plumbing but also the cabling, routing and connetions. The Nuclious - communication hub is self sustained and does not depend upon the host building for power. An adequately sized solar power pack ensures power for not only the Nuclious but the meters connected to it as well. The daisy chained meters offer a neat and well suited solution for apartments or any other high rise building in need of a metering solution. 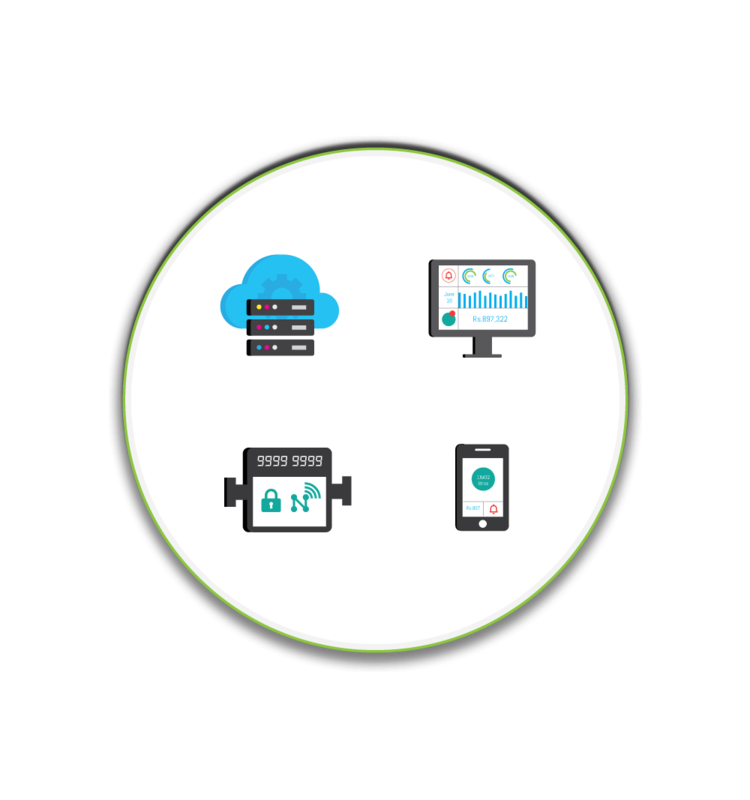 The Nuclious connects to cloud application using dedicated m2m network running our custom APN. We have brought the counter dial to a screen closer to you. And, enhanced it 3X - Measure. Monitor. Control. Engage your residents in your efforts to reduce water consumption in your apartment. We respect your privacy and do not share your data with any third parties. I agree to receive calls and messages from you. 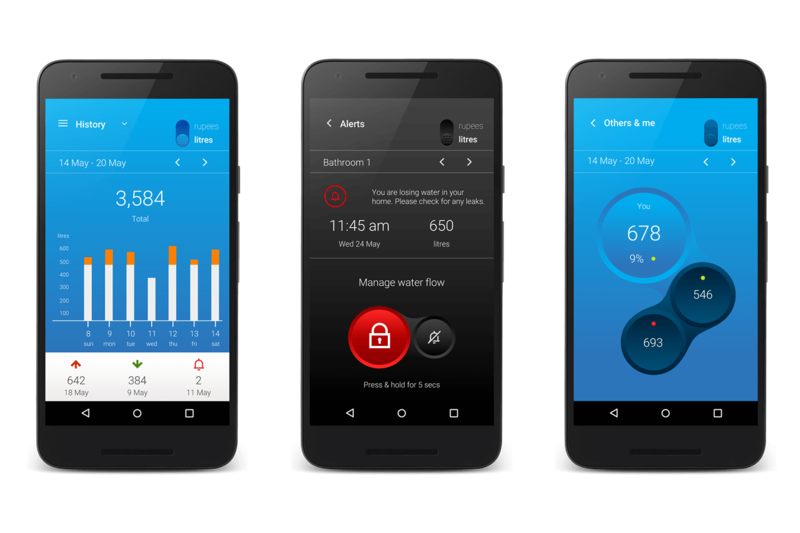 A smart water meter should give you an accurate bill plus a lot more. The platform gives complete control over your billing process. A simple interface gives you an option to opt from fixed tariff, floating or slab based tariff. You can even specify a fixed base charge. Once you add your water vendors, you can easily enter water purchase information of your apartment complex to determine the total spend on water. Bills are generated automatically at the end of the billing cycle and sent to the residents. 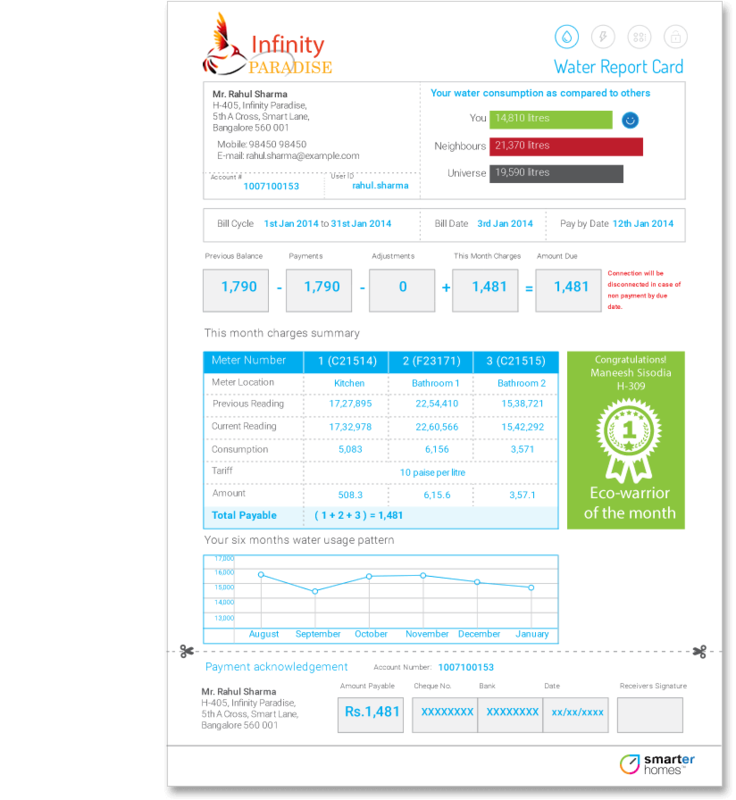 The monthly bill gives complete snapshot of consumption in each water inlet in your home with start and end reading, cost of water and of course total consumption and bills due. 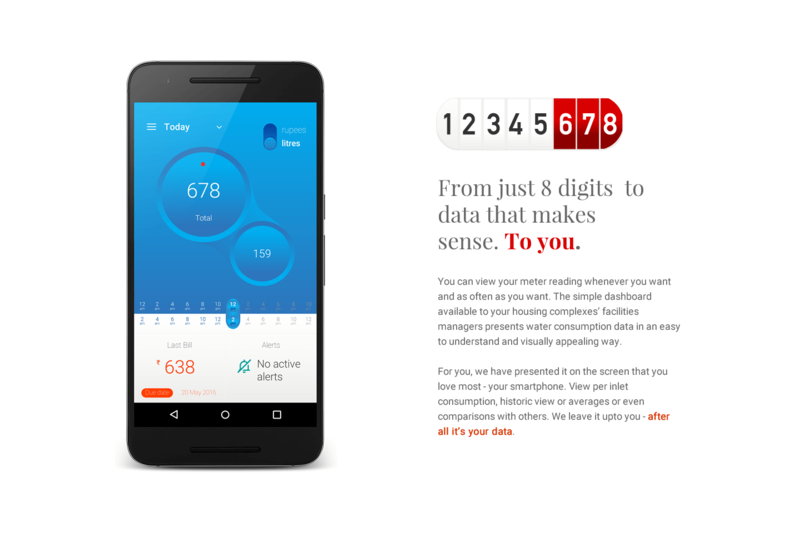 The bills show the residents their 6 months consumption pattern to help them develop clarity about their usage behaviour. The monthly water report card or the bill also show the comparison of the resident's water consumption with their neighbourhood. After all, you always want to be better than your neighbour. Let the savings begin. 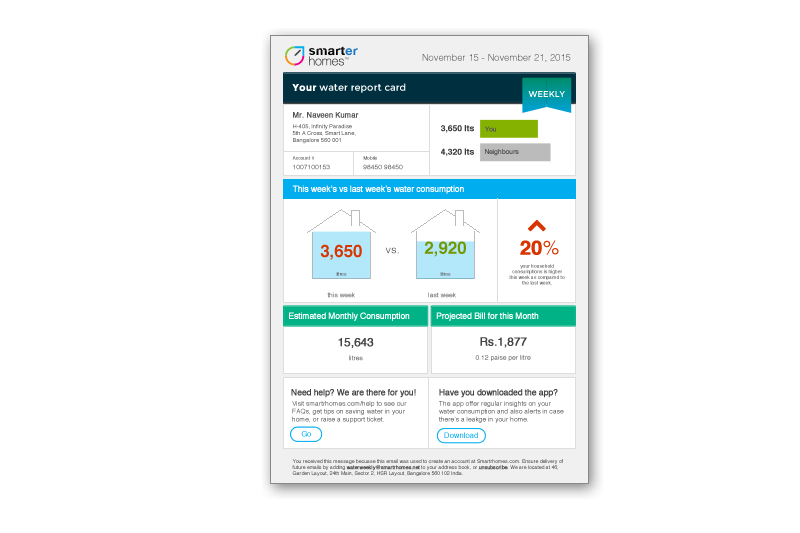 Every week we send residents a snapshot of their weekly consumption, comparison with the previous week along with a projected bill for the month. Most residents find this report very useful as it gives them an opportunity to plug any gaps - or leaks as we say! 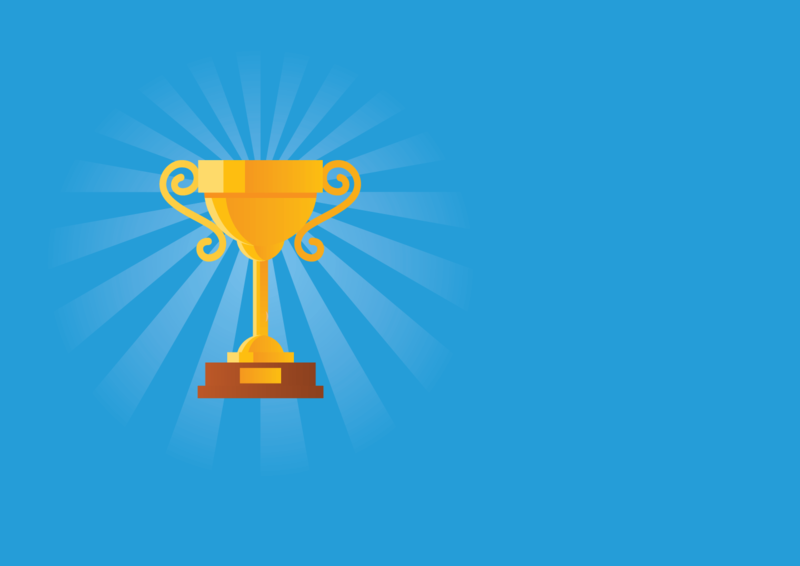 Bringing gamification to drive behavioural change. The next version of Nuclious and WaterOn app will have elements of gamification to motivate and reward users for various activities towards water conservation. The users will be able to use reward points to avail discounts in their water bills and other items.